One of the most overused facts within the modern built environment is that that we as building occupants tend to spend over 90% of our time indoors. The relationship between individuals and their environment can be a crucial determinant of how they feel, perform and interact with others. Designing spaces that inspire, energise and support the building occupants is key to the We Design For… ethos. As humans we have an innate and genetically determined affinity with the natural world, often referred to as ‘biophilia’. Numerous studies over the past 35 years have demonstrated that individual patterns of biophilic design can improve productivity, creativity and happiness whilst maximise business gains associated with reducing absenteeism and/or increasing the popularity of a space. In addition to the psychological benefits; indoor plants have many other uses; improving indoor air quality being one of the most beneficial. Indoor air quality is currently a hot topic, and it is often overlooked that one of the most effective ways of improving indoor air quality is to utilise the natural ‘scrubbing’ capability of our ecosystem. In the late 1960s, B.C. “Bill” Wolverton was an environmental scientist working with the U.S. military to clean up the environmental messes left by biological warfare centers. He discovered that swamp plants were actually eliminating ‘Agent Orange’, a chemical herbicide used during the Vietnam War that had a devastating impact long after the conflict. Initially he was tasked with using plants to clean waste water at the NASA Center. To this day, Wolverton’s design, which replaces a traditional septic system with water hyacinths, is still in use. His research then turned to using plants to improve air quality. By 1973, NASA scientists had identified 107 volatile organic compounds (VOCs) in the air inside their Skylab space station. Synthetic materials, like those used to construct and clean Skylab, give off low levels of chemicals. This effect, known as off-gassing, spreads the VOCs, such as formaldehyde, benzene, and trichloroethylene, all known irritants and potential carcinogens that are also well known to be found in small concentrations within the air we breathe on Earth. However, when these chemicals are trapped without circulation or ventilation, as was the case on the Skylab, the inhabitants of the space station did not benefit from the natural ‘scrubbing’ that is provided by Earth’s complex ecosystem. Around the same time that Wolverton was conducting his research into VOCs, the United States found itself amidst an energy crisis. In response to this crisis, builders began making houses and offices more energy efficient. One of the best ways to do this was to make the buildings as airtight as possible. While keeping temperature-controlled air in place, this approach reduced circulation and ventilation rates. Combined with the modern use of synthetic materials, this contributed to what has since become known as ‘Sick Building Syndrome’, where toxins found in synthetic materials become concentrated inside sealed buildings, making people feel sick. Nature’s life support system is of course, plants. While not effective at removing all harmful chemicals from our indoor air; houseplants can be particularly effective at removing some pollutants inclusive of NO2, CO2, particulate matter and volatile organic compounds (VOC). Effective options for plants that could be used to improve air quality include floor standing tall plants, naturally ‘hanging’ plants and plants that can be planted inside ‘upside down’ planters or ‘plant hangers’; as readily available from a selection of interior design, gardening and furniture shops or online. NASA’s research suggested having at least one plant per 100 square feet (~9.3m2). At We Design For… our own research has shown that further increasing the number of plants is beneficial to indoor air quality. The spider plant is one of the most popular indoor houseplants. It is exceptionally easy to care for, does not require much sunlight, is readily available and has two tone leaves that add contrast to a space. Grow under glass or in a frost-free enviroment. Propagate by seed, root plantlets or by division. Low Maintenance Patio & Container Plants. There are many different varieties of Philondenrum, but our favourite readily available Philondendron, most suited to application indoors is the is the Heart Leaf Philondendron. It is easy to grow and over time will trail large rubbery heart shaped leaves. Philodendron are a stout evergreen climber, with glossy dark green, triangular-ovate leaves. Grow indoors in a loam-based potting compost in bright filtered light but with shade from hot sun, mist daily. 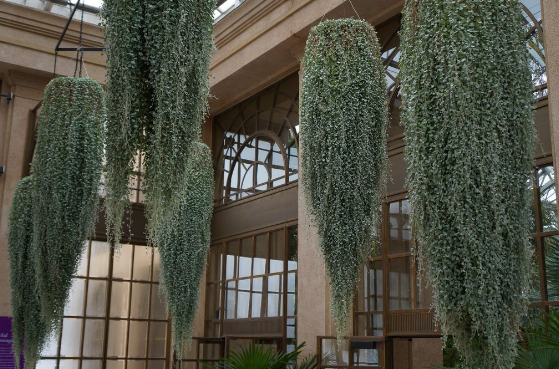 As an outdoor plant it makes a pretty ground cover or trailing plant, but growing a Silver Falls dichondra indoors in a container is also a great option. This evergreen, hardy plant grows gorgeous silvery foliage and makes a nice addition to any home with the right care. Prefers to be grown in sunlight, so most suited to the restaurant lightwell area. The plant trails and may become invasive so will require appropriate care. Prefers medium to dry conditions, so staying inside in the winter with drier air is usually no problem for this plant. Make sure the pot is big enough to allow the plant to spread or be prepared to trim it back as needed. Find a spot that gets some direct sunlight throughout the day, as Silver Falls prefers partial shade to full sunlight. Ensure the pot drains well or self irrigates (such as most upside down planters). The golden pothos is also known in the United Kingdom as the devil’s ivy. It’s a climbing species that grows well indoors. The beauty of this plant is in its leaves. Each arrow shaped leaf will alternate location with the leaves around it and the leaves will grow to cascade over areas where not given opportunity to climb. 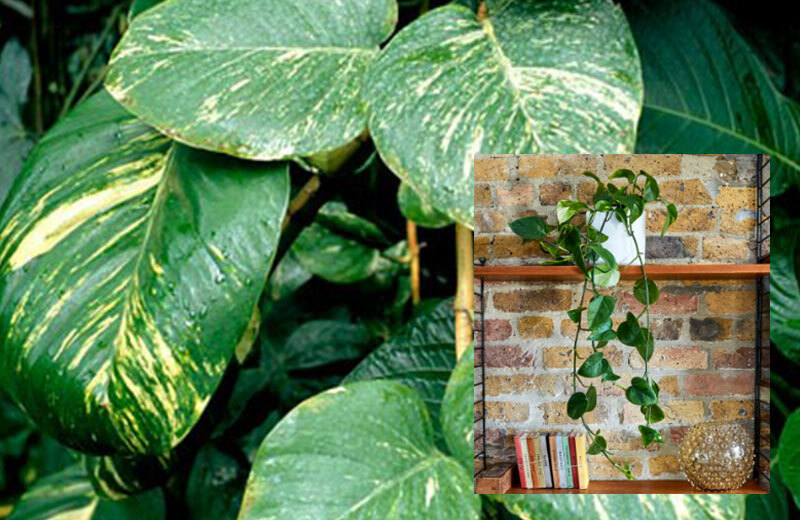 Having aerial roots to aid its growth the Golden Pothos is effective at removing toxic gases from the air. Before considering this plant it should be noted that every part of the plant is poisonous if ingested (A consideration at if you have young children or animals). 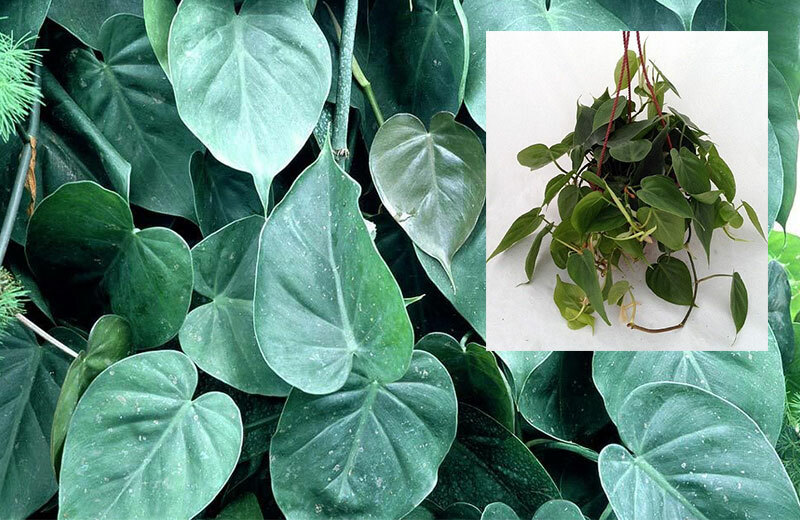 Epipremnum are evergreen perennials, climbing with the aid of aerial roots, with simple or pinnately divided leaves and rather insignificant flowers enclosed in green spathes, but rarely seen in cultivated plants. Grow under glass in loam-based compost in full or bright filtered light. Further to the selection of trailing climbers, it is also worth considering the following indoor pot plants for their air cleansing capabilities. 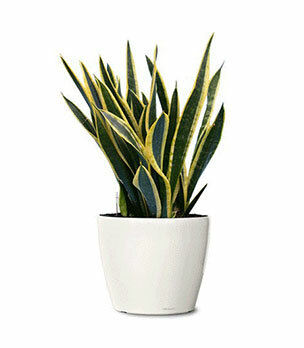 The Snake Plant or Mother-In-Law’s Tongue, is an evergreen perennial that according to NASA, is one of the best houseplants for absorbing airborne toxins, including formaldehyde, nitrogen oxide, benzene, xylene and trichloroethylene. You may want to put a couple of these sharp-leafed plants in your bedrooms. They have the ability to absorb carbon dioxide and release oxygen at night (the opposite of the process most plants follow). Putting these plants in your bedroom could give you a slight oxygen boost while you sleep. The Aloe Vera plant is an easy-to-grow, sun-loving succulent that helps clear formaldehyde and benzene, which can be a by product of chemical-based cleaners, paints and more. Aloe is a smart choice for a sunny kitchen window. 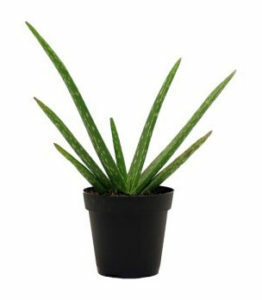 Beyond its air-clearing abilities, the gel inside an aloe plant can help heal cuts and burns. 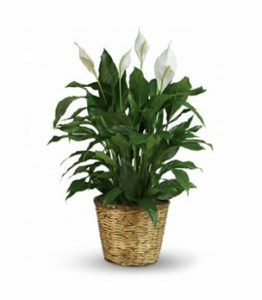 The Peace lily, also known as white sails, is viewed as a very good ‘desk plant’ because of its air cleansing capability. It has dark green leaves, requires little maintenance other than regular watering and produces attractive white flowers.